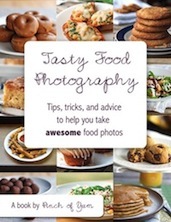 Tonys Photos: New e-book - Tasty Food Photography. 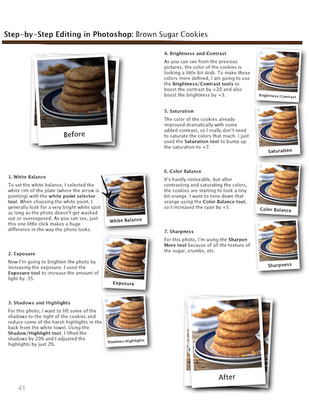 A great new e-book with all kinds of useful tips covering everything from shutter speed to lighting and composition to editing. 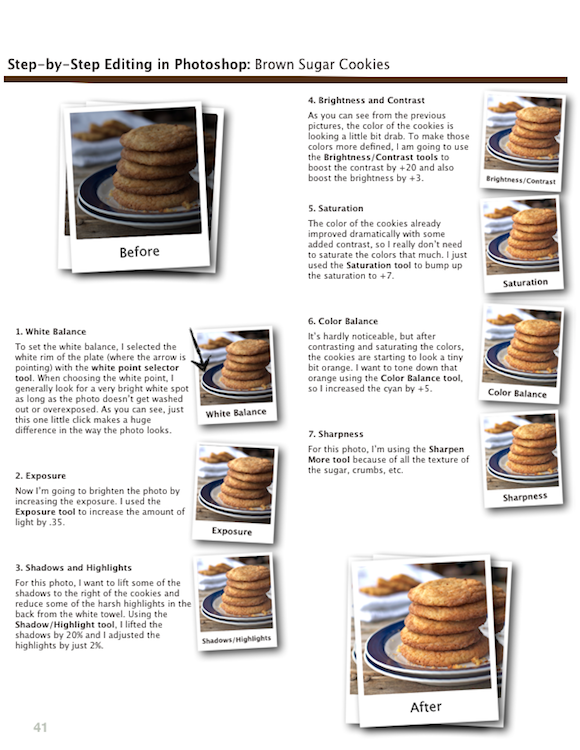 There are also video tutorials to complement the step by step tutorials. The book is written by Lindsay who has been cook, writer, and photographer for a food blog called Pinch of Yum, and this is what she says about the book. A couple years ago I started writing a food blog called Pinch of Yum as a hobby for my evenings and weekends. 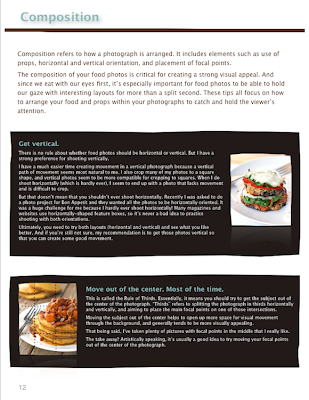 As an amateur cook and photographer, I had a lot to learn. I was using a DSLR camera, but I had no idea how to use it. My blog readers consisted of my mom and a handful of co-workers. I still remember how thrilled I was the first time I had 50 visitors on my site in one day. As time went on, I started to get more comfortable with the using the manual settings on our DSLR. I started using more complex photo editing software such as Photoshop and Lightroom. My photos were starting to improve which fueled my desire to keep learning. I eventually had my first photo accepted to Tastespotting.com, and I was beside myself with excitement about being published and about the number of visitors that it brought to my blog. As my photos continued to get better, I saw an immense increase in my blog readership. My average number of unique visitors went from 50 a day to 5,000 a day, which lead to lots of opportunities for monetizing and growing my blog. In the last 6 months, I’ve had the honor of being pursued by web magazines, e-newsletters, and book publishers. 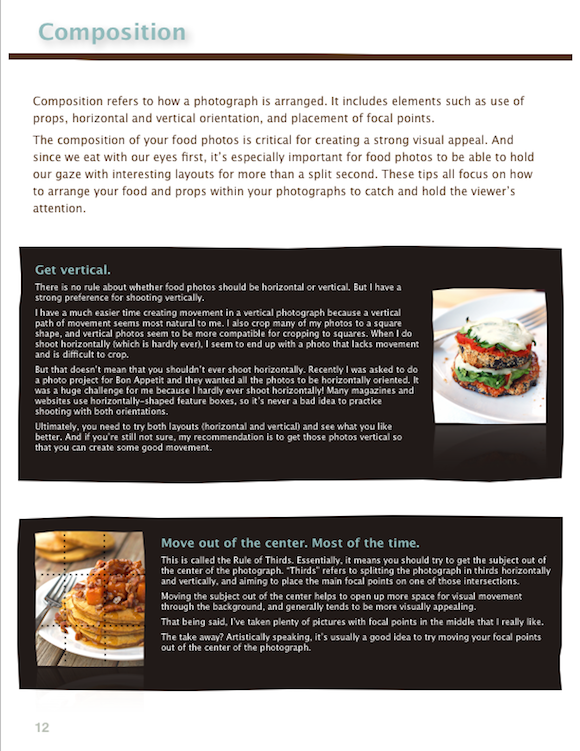 There’s no doubt in my mind that these opportunities were presented to me because of my improved food photography.